If there's one thing that Christians and Geeks have in common, it's that each group can't wait for the end of the world. Christians await the Rapture, which precedes Armageddon. Geeks eagerly prepare for the upcoming zombie apocalypse. While it might not seem like these two world-ending scenarios have a lot on common, there's actually a lot of overlap. For example, either scenario is a quick escape from the realities of this world. Suddenly we no longer have to worry about little things like bills, school, mowing the lawn, completing our court-mandated community service, or any of the other annoyances of the real world. Instead, we are freed from our humdrum lives and either whisked away in to Heaven, Jesus comes down to earth and rules, or we get to grab shotguns equipped with chainsaws and kill hordes of the undead. That last one is definitely the appeal of the zombie apocalypse. After years and years of doing so in video games, we'd love the chance to grab some heavy ordinance and lay waste to people with no responsibility. After all, you can't be charged with genocide when you're killing zombies, because it's either in self defense, or they're already dead. You're off the hook and can blow them away with impunity. However, fans of the impending the zombie apocalypse always assume that they will be one of the human survivors and not a zombie themselves. Sadly, the math makes this a remote possibility. 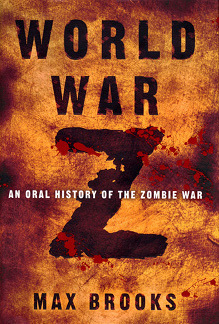 Odds are that if the zombies do take over, most of you reading this will join the shuffling hordes that the survivors gleefully gun down. Sorry future cannon-fodder, but that's just how it's going to work. Your odds of survival are much lower if you live in the city, but you've got a chance to be on Team Human if you live in a more rural area. This assumption, that we'll get the long end of the stick, also exists in Christian end-of-the-world fantasies. Those who believe in the Rapture assume that they'll be the ones taken up into heaven. But again, what if you aren't? 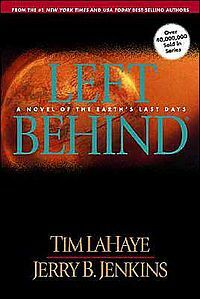 After all, that was the point of the Left Behind series, that some of the most faithful didn't make the cut because they had more work to do down on earth. The first draft had everyone taken up. It was three pages long. The Rapture is seen as the ultimate get out of jail free card. When it happens, we don't have to worry about anything ever again, it's just Paradise forever. I can see the appeal, and like the zombie apocalypse fantasy it's all about being absolved of responsibility. Not to mention the gleeful revenge. What better "I told you so" moment do you get? All the unbelievers are stuck in Armageddon while you get whisked away. You were right and they're gonna burn! Why do you think this idea has such mass appeal, and why the book series was so successful? It's indulgent fantasy and you get to cast yourself as a paragon of good, meaning you don't have to feel guilty watching your enemies destroyed. So that's why those end of the world ideologies have so much influence in the minds of geeks and Christians, but there's one more important factor: the plan. Any self-respecting geek has a zombie plan in place. Most of them probably involve heading to Canada, but the more detailed strategies involve getting weapons and ammunition, finding non-perishable food, and holing up in a secure bunker. If they can't get out of town, they know the most secure locations nearby their homes, school, and work. When the undead hordes come, they'll be ready. Christians also have plans for the Rapture. However, since they don't expect to actually be "left behind," their plans are for those who are. Unlike these zombie plans, however, these post rapture plans are very real and already in place. The first is a messaging service that will email all your heathen friends and relatives, letting them know that the rapture has happened and that they'd better get right with God. When you sign up for the Post Rapture Post, you provide them all the addresses of the friends and relatives you feel should be alerted should the rapture happen. You'll write them a personal, heartfelt, "told you so neener-neener" message explaining why you aren't around anymore and why the end is nigh. How will these messages get sent if the people running the service get raptured? Apparently they have someone constantly pushing a button, Lost style, that prevents the messages from getting sent out. If that person is swept up into the heavens, they won't push the button and all the messages get sent out, assuming that's not the days the servers go down and no one's around to fix the problem. Of course, that's just one plan. Other Christians have been kind enough to write out Post Rapture Survival Guides for the poor, unfortunate souls caught up in Armageddon. These are already posted online so that anyone research the rapture after it's happened will stumble upon it and figure out what's going on. These guides are also available in books and on DVD for your relatives and friends to find when they come over to your empty house wondering where you went. Finally, it's important to remember that musing about the end of the world shouldn't be the basis of your life. If it's just a harmless indulgence, and you're not using it as an excuse to check out of reality, you're fine. Enjoy your fantasy. But if you're dropping everything because of a rumor that this year will be the end, you're going to be disappointed when we're all still here. If you want to see more of my geekiness, check out Guardians of Suncast Dale, a satirical fantasy adventure on Kindle. My Christian Scripts also approach faith from a clearly geeky angle.